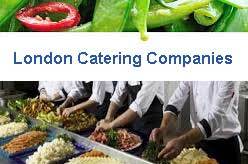 Catering companies in London UK. List of contract caterers, private event caterers and corporate caterers in London. Find here 100+ large, medium and big catering companies in London, United Kingdom. Looking for caterers for weddings, private parties, corporate functions, product and shop launches, or office parties ? Here is a list of catering companies in London, England, United Kingdom. Directory of top caterers in London. Catering company based in Ealing, West London, offering a wide range of catering services to private and corporate clients. Professional office and event catering company in London. Unit 20, Acton Park Estate The Vale, Acton London W3 7QE, UK. London’s gourmet catering services at an affordable price. Covers Wedding Parties, Corporate Parties, Private Catering, Catering for Venues, Valentines Day Catering, Christmas Day Catering etc. Full service catering company serving in and around London, England. 22 Rosemary Road, London SW17 0AR, England, UK. Catering for all events, all sizes. Offers corporate catering, supply waiting staff, crockery, linen and glass hire. Also offering office catering services for the London area including lunch delivery, working lunch for an internal sales meeting and more options. catering for parties and outside catering services in London. Nourish caters for contract, educational and retail catering. Specialises in London school catering services. Office Lunches, Corporate Catering & Contract Catering for London. PenniBlack offers private catering, corporate catering, wedding catering and Christmas catering service. Experienced caterers for private event or intimate dinner in London. London based caterer creates and delivers premium food and beverage experiences across events and iconic locations. London’s leading event caterers. Delivers innovative, delicious and beautifully presented food, bespoke to every client’s requirements. Creative event catering service in London, England. Seasoned offers the best event catering in London. Caters for all types of events, from corporate receptions and gala dinners in museums and galleries to private parties at home and in marquees. Boutique London catering company specialising in tailored and high end bespoke events and commercial event partnerships with London venues. 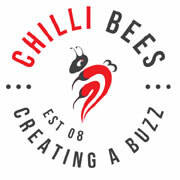 Providing bespoke catering, private dining and corporate catering in and around London, England. Family-run catering company specialising in high quality events & niche catering contracts. One of London’s leading luxury caterers. One of London’s leading bespoke catering company. Inn or Out Events offers corporate catering, private catering and wedding catering services. Deptford, London SE8 5HY, England. Page updated : 14 April, 2019.